Thanks for visiting our blog. The Land of the Fanns website and blog are now live! We are a small team of 4 – Benjamin (Benj), Debborah (Debbie), Aisling & Amena. 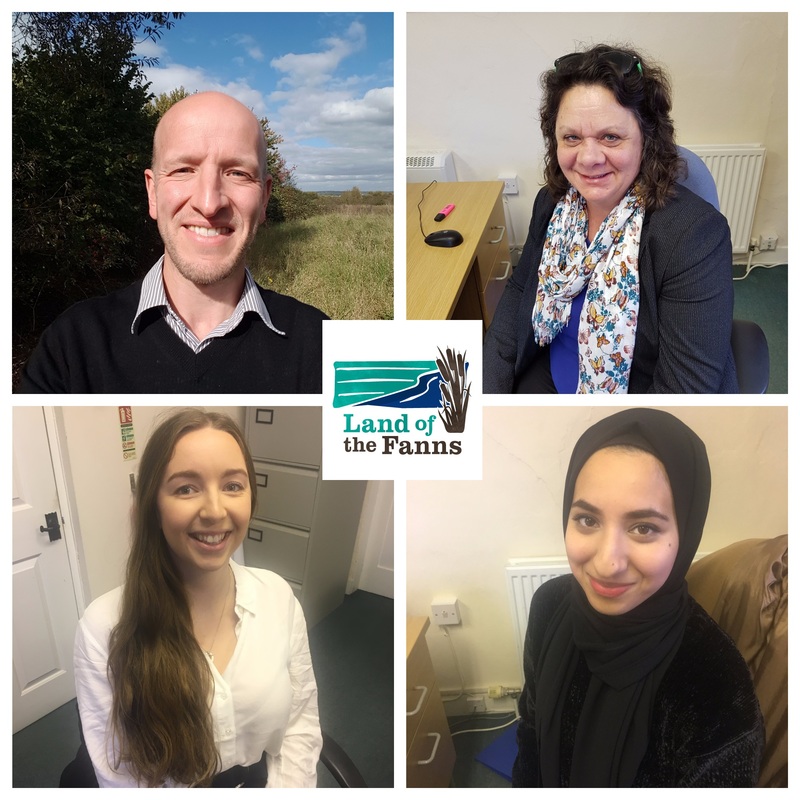 Benj is the Scheme manager, Debbie is the Heritage Engagement Officer, Aisling is the Environment Engagement Officer and Amena is the Finance Officer. We are all very keen to make a start on project delivery; it feels like a long time since we were first offered the HLF grant in November 2016! Benj has been very busy leading on the scheme and ensuring all goes smoothly with delivery. Debbie has a real passion for heritage and has been out and about engaging with the partners of the project. Aisling has a keen interest in environmental conservation and already familiar with many of the communities the scheme will be engaging with. Amena has been ensuring all projects run on budget and has taken lead on commissioning the new Land of the Fanns website and establishing the social media platforms for the scheme. Some of the first project areas the team will be looking at are the river projects. Here we have been working closely with the local community and Land of the Fanns partners to establish plans for river restoration along the Rivers Rom and Ingrebourne. We have also been looking at taking our interpretation strategy a step further to develop interpretation plans for a number of key visitor destinations within the Land of the Fanns. Another exciting project we have been working on is a community archaeology project with Museum of London Archaeology. We will be frequently be updating the blog, so be sure to keep posted here. Land of the Fanns Spring Update!